Zircon fractions extracted from one of several metatrondhjemite sheets interbanded with mafic volcanites in the Støren Nappe on the island of Ytterøya, Trondheimsfjorden, have yielded a U-Pb age of 495 ± 3 Ma. This is interpreted as the crystallisation age of this subvolcanic felsic intrusion. Field relationships indicate that the trondhjemite sheets are either broadly coeval with, or just slightly younger than the metabasaltic greenstones. 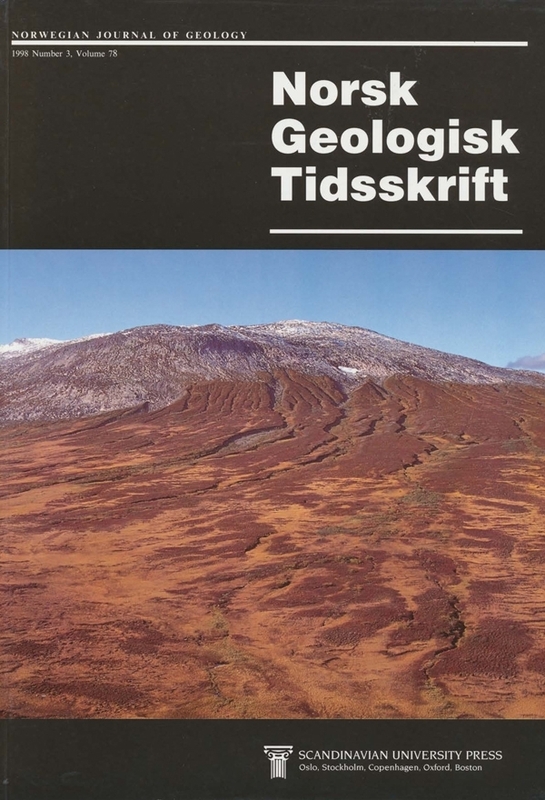 The entire volcanosedimentary succession on the island, which includes local, thin, quartz keratophyres and rare phyllites, has participated in all the recorded Scandian deformation phases. A< 60 m-thick metalimestone is also present in one area. Based on comparisons with other U-Pb dated trondhjemitic sheets associated with metabasalts in this part of Central Norway, the Ytterøya greenstone pile thus appears to be one of the oldest metabasaltic units in the Trondheim Nappe Complex, with a minimum age of Late Cambrian. Robert D. Tucker, Department of Earth and Planetary Sciences, Washington University, 1 Brookings Drive, St. Louis, MO 63130-4899, USA.